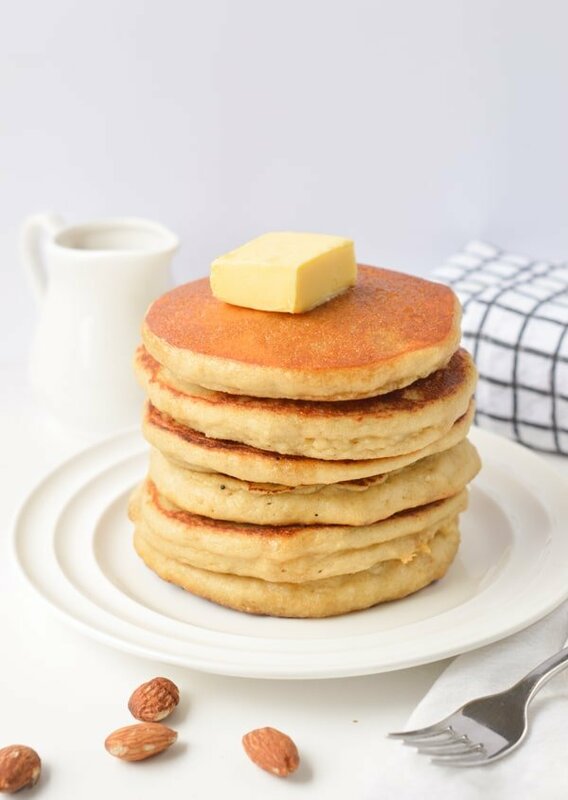 Those almond flour pancakes are the best fluffy pancakes to starts the day.I can’t get enough of those delicious pancakes for breakfast and my kids too. 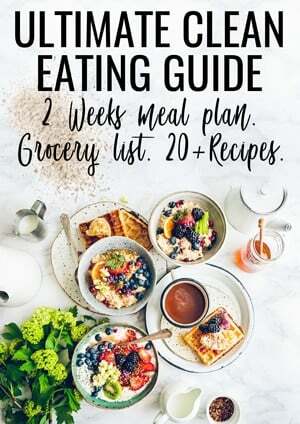 The recipe is very straight forward and easy to make. 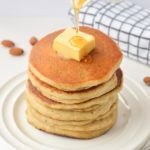 If you had little issue with my coconut flour pancakes recipe you won’t have any problem with this almond flour pancakes recipe ! Almond flour is much easier to work with. 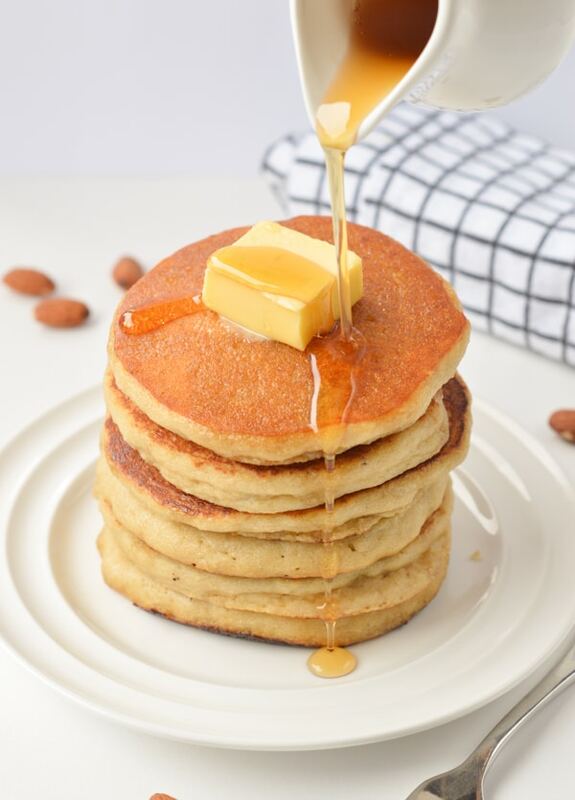 It is definitely a no fail almond flour pancakes keto recipe delicious served with a piece of butter and sugar free flavored maple syrup. 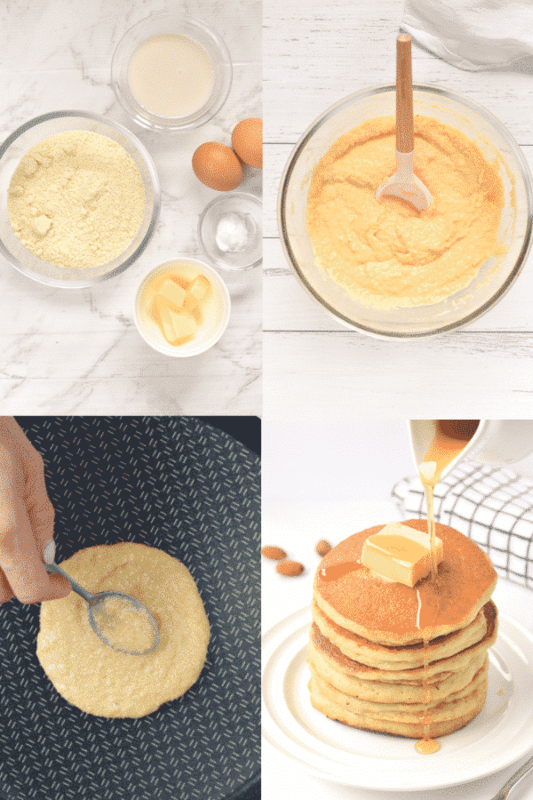 All you need to make fluffy almond flour pancakes keto are 5 simple natural ingredients. Unsweetened vanilla almond milk – as always I love to use Almond Breeze as there is no sugar added in their almond milk, it is low calories and dairy free. Any milk will work in this recipe, so if you can’t find almond milk, feel free to adapt with any milk you like. Eggs – I tried to replace the eggs but keto low carb egg replacement options but it wasn’t successful. I recommend you use eggs as recommended. There is only 2 eggs and the pancakes don’t have an egg taste. Melted coconut oil – or any vegetable oil you like. If you are using coconut oil, make sure your eggs and milk are not too cold, or it will solidify the coconut oil creating lumps in the batter. Ingredients temperature – Make sure eggs and almond milk are at room temperature. If they are cold, straight away from the fridge, they will solidify the melted coconut oil creating lumps. If you ingredients are cold and you can’t wait, use a different oil to avoid this to happen. Any vegetable oil will work well like canola oil, avocado oil, flaxseed oil. 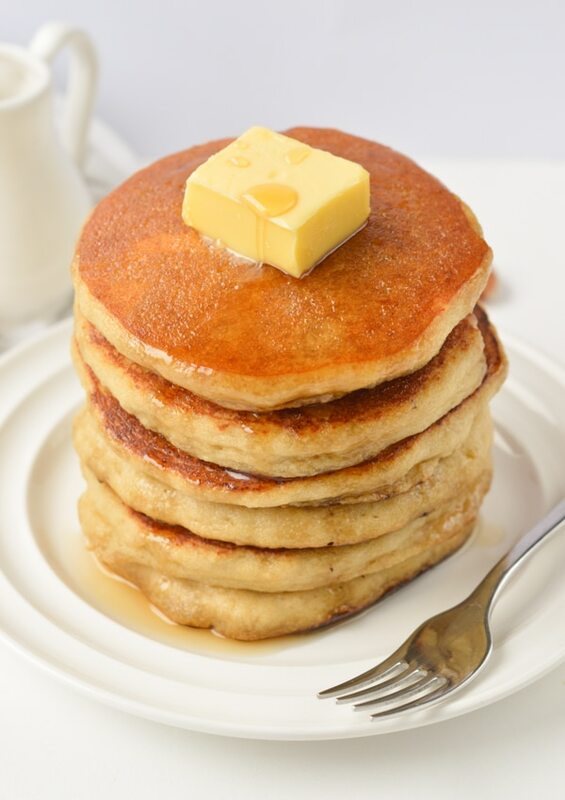 Cooking temperature – temperature is the key to make the perfect almond flour pancakes. The crepe pan should be hot but not too hot or the pancakes won’t raise and burn. Choose a medium-high heat, reducing to low heat if needed, be patient. Space – Leave them some space. Don’t add more than 3 pancakes at a time in the crepe pan for even cooking. Don’t shake the pan and wait until the sides are set before flipping them. 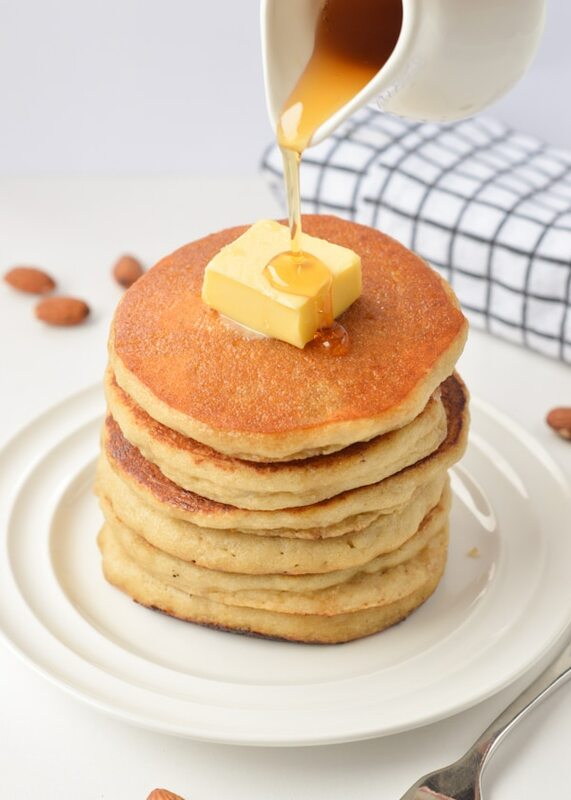 Watch the almond flour pancakes keto recipe video and make them now ! KETO ALMOND FLOUR PANCAKES easy breakfast with only 2.6 g net carbs per pancakes. The best fluffy pancakes to starts the day. Whisk in unsweetened vanilla almond milk, melted coconut oil and eggs until combined. Make sure your ingredients are not too cold or they will solidify the coconut oil. We recommend to keep eggs and milk at room temperature to this to happen or use any other vegetable oil you like. Heat a large non-stick pancake pan or griddle over medium-high heat. Apply vegetable oil to the pan with kitchen absorbent paper towels or spray oil on the pan. Ladle 1/4 cup batter onto the griddle for each pancake. Flip the pancakes over when the sides are set, about 2 minutes. Keep cooking on the over side until golden brown. Serve with butter and sugar free flavored maple syrup. Store in the fridge in an airtight container up to 3 days. Rewarm on a pan, sandwich press or in the toaster. Can be frozen in airtight zip bag and defrost in the toaster before serving. 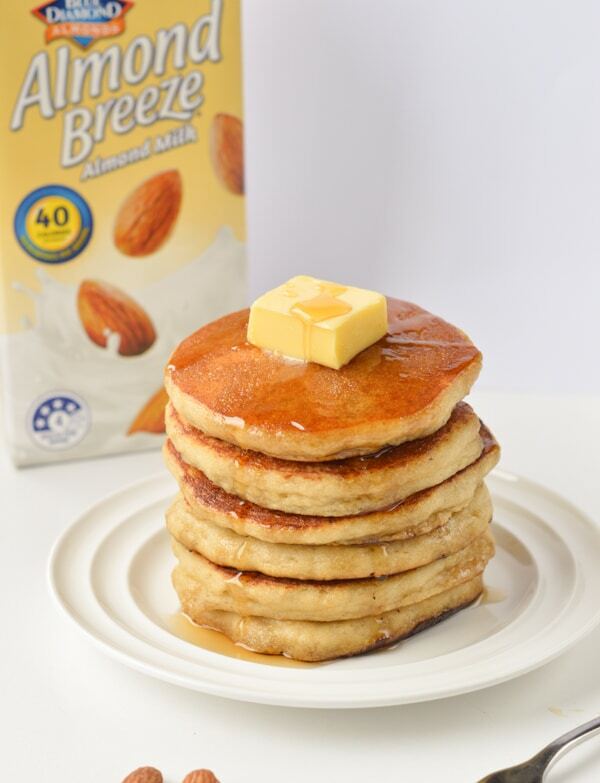 This almond flour pancakes keto recipe is sponsored by Almond Breeze Made from the best California Almonds and I received a compensation to develop this recipe but note that I only recommend product I love and trust on this blog. Thank you. Is it 233 calories for 1 singular pancake, or for the whole patch?? Yes but we don’t watch calories on keto low carb diet, only the fat and carbs. Also, you will be full with 2 pancakes which comes to 466 kcal, totally normal intake for a brakfast! Enjoy the recipe. XOXO Carine. I am sorry to hear that. It seems that you flip them over too early, as I mention the border needs to be set before you flip them. It takes a bit longer than wheat flour pancakes to set, you have to be patient. If you flip them at the right time, usually 3 minutes on one side is way enough, they won’t bread. Also, the batter is not sweet, up to you to add 1 or 2 tablespoon of sugar free sweetener if you like. Enoy the low carb recipes on the blog and thanks for trying some. XOXO Carine. Kia Ora! Yes I am living in NZ. We don’t have natural sugar free maple syrup sold in New Zealand so I order online, from US. You can order through iherb, they delver NZ or amazon with reship address. Enoy the blog, XOXO Carine.